Hi all, I am temporarily back to bring you the newest post in The Cinema Monster’s newest segment, The Guest List! As for TCM, things should return to business as usual next week. TIFF officially ends this coming Sunday, so expect reviews and regular posts starting on Monday. For those who do not know, The Guest List is a segment in which fellow bloggers or guests compile a top 10 on whatever subject they choose. They then send the article to myself and I publish it, it’s that easy! This week, I am really excited to have Cinema Parrot Disco submit her very own top 10! If you haven’t checked out her site and followed, do so now. If you don’t you’ll regret it every day for the rest of your life. You can find her site by clicking on the link provided here. If you’d like to contribute your own top 10 to The Cinema Monster’s Guest List segment. All you need to do is shoot me an e mail (thecinemamonster@gmail.com) with your name, website info (if you have one), and the topic you have chosen for your top 10. If I like what I see, I’ll give you the all clear and you can begin composing your entry. Then, send it back to me and we will discuss a date of publish. Sound good? I’m really trying to get this segment jumpstarted, so if you all could compose an entry and send it my way, I would be forever grateful. Now, I’m going to turn it over to Cinema Parrot Disco. Enjoy! When Joseph asked me to do a guest Top Ten list I was like…. “Sure!”. Because, like the character of Rob in “High Fidelity,” I’m obsessed with making Top Five (or Top Ten) lists. I’ve chosen to do my Top Ten films since the year 2000 as I myself was curious as to what would make the list. I kind of know what my all-time top 100 films are & very few of those are from the past decade or so (with most being from the 70s or 80s). Not sure what it is about this one but I really enjoyed it and it made me want to travel to Tokyo someday. Jack Black teaching today’s youth about classic rock & metal – LOVE IT! The minions are hilarious, it’s Steve Carell’s funniest role, and the girls are sweet yet not annoyingly so and have attitude without being “kid film bratty”. Oh, and the soundtrack is great too. Fun for all ages – not many kids’ films (outside of Pixar) achieve this. It’s The Lord Of The Rings. It’s awesome. The original is one of my all-time favorite movies. Remakes usually get me very angry and I start ranting and raving about how Hollywood makes nothing original anymore blah blah blah. But THIS was good! Obviously doesn’t live up to Romero’s classics but it’s still a great zombie flick. Excellent foreign film set in 1984 East Berlin. Highly recommend this one! Love everything about this. I feel happy just thinking about this film. Someday people will realize that this is Christopher Nolan’s best film. Okay – I’ve cheated a little. 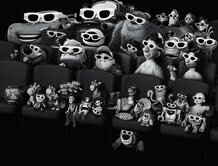 But WALL-E, Monsters Inc, Toy Story 3, and Finding Nemo are all, really, my favorite films of the 21st century so far. Thank you, Pixar! Alright, that’ll do it! I want to send a big thank you to Cinema Parrot Disco for contributing. Everyone have a great weekend! I know I will, I’m seeing The Sacrament tonight and 12 Years a Slave tomorrow! Posted on September 13, 2013, in The Guest List and tagged The Guest List, Top 10. Bookmark the permalink. 49 Comments. I’d like to do a top 10 films of the 16th century. Lol, by all means Brian…do your thing. Nice picks. Good to see DOTD, The Prestige and School of Rock up there. Awesome job! Thanks! I agree! Lol. 🙂 If I’m completely honest, School Of Rock is probably higher. I adore that film. No, thank you! You’re the one helping me out :). By the way, I totally agree with you about The Prestige being Nolan’s best. Massive fan of The Prestige too. Way better then all that bat nonsense. Agreed. 🙂 Although I do think The Dark Knight is very good but that’s mainly thanks to Heath Ledger. Great picks especially Pixar films as number 1. I really like that picture. Ooh, great list! And I agree, Prestige is Nolan’s best! I’ll start thinking on a topic for my own Top 10! Sweet! Thanks so much Fernando :). Just shoot me an email when yoi come up with your topic. Could really use your top 10! Thanks! And, yay – another Prestige lover. 🙂 Would be great to see your own list! Cinema Parrot Disco is in my top ten blogs of the 2000s! Oh my Mikey! Everyone is entitled to their own opinion lol.What do you feel Nolan’s best is? To each, their own…that’s the beauty of cinema! I’d love to have Screenkicker contribute. Send me your topic so we can get this done :). 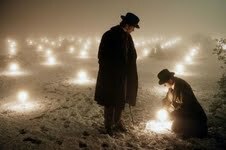 The Prestige is a solid film and I agree with you on The Lives of Others–awesome choice. Thanks. 🙂 The Lives Of Others really is an excellent film – it’s one of those that I’m always wanting to tell everyone to watch. Lol…well, what are you waiting for? How about you compile your very own list?! Would love to have you…and you can choose whatever topic you’d like :). Lol! Thanks! You’re right – almost the exact same list. 😉 I did love Dawn of the Dead, especially for a remake of one of my all-time favorite films. Major props for including The Lives of Others. Amazing film. Thanks. 🙂 Amazing film – I want everyone to see it! Nice to see LOTR on the list! One of the surprise movies of last was Perks Of Being A Wallflower, it’s a movie I’ll probably rewatch time and again. Thanks. 🙂 Yeah – I was surprised at how much I loved Perks! Wasn’t expecting that. Have either of you read the novel The Prestige?? Indeed I have, I own it as a matter of fact. I really enjoyed the book, but I love the movie. I guess it’s probably a tie for me :). Great list and very nice picks! It’s pretty much the same topic as the one I’m writing for this site so it’ll be interesting to have the two lists up! I know, I can’t wait to see the differences. Going to be some nice fuel to get the conversation started. Can’t wait to put yours up :). It’ll be in your inbox tomorrow I think! Sorry about how long I’m taking! It’s all good! Can’t wait :). Great list. loved how Perks made your list, it really was amazing! Im also in the school of thought that TDK is better than the Prestige, but I definitely enjoyed it too. I’d love to do a top ten for you. I’ll shoot you an email TCM. What I really love about this post CPD is the pic you used for Pixar!! Love to have you! Just followed your site, terrific stuff :). Just shoot me an email whenever you come up with a topic!